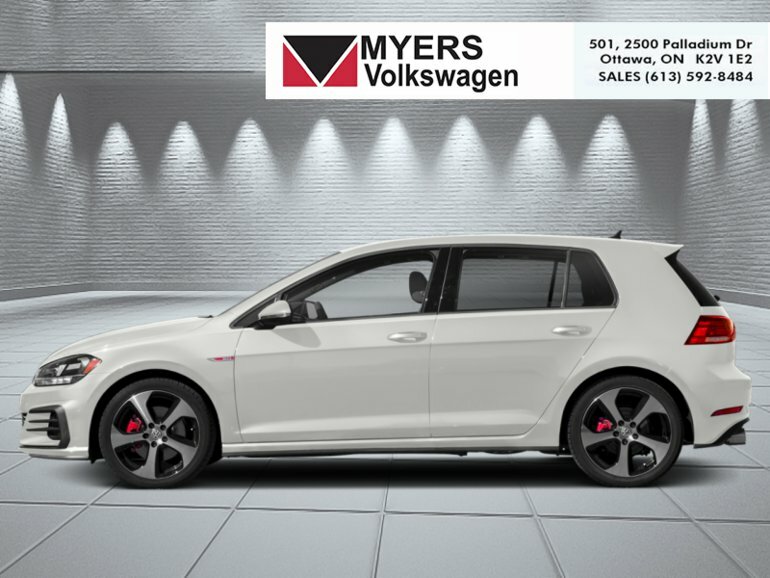 This 2019 Volkswagen Golf GTI performs extremely well as a sports family vehicle, allowing for a comfortable ride quality, exceptional interior versatility and premium build quality. This pure white hatchback has an automatic transmission and is powered by a 228HP 2.0L 4 Cylinder Engine. 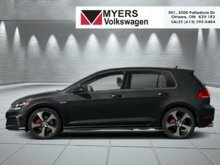 Our Golf GTI's trim level is Rabbit 5-door DSG. This Volkswagen Golf Rabbit offers a few more performance aimed features and options such as a sport tuned adaptive suspension with a driver controlled ride, a 6 speed automatic/tiptronic DSG transmission, an electro-mechanical limited slip differential, black power heated side mirrors with turn signals, fully automatic LED headlamps, front fog lamps, cornering lights, a premium Fender audio system with 8 speakers, an 8 inch display with a proximity sensor, App-Connect smartphone connectivity, Bluetooth, SiriusXM satellite radio, heated top sport seats with power recline, keyless access and push button start, a sport leather steering wheel, cruise control, dual zone front automatic air conditioning, piano black interior panel inserts, a rear view camera and much more. This vehicle has been upgraded with the following features: Driver Assistance Package. This is a demonstrator vehicle driven by a member of our staff and has just 8000 kms.